I have an impending problem. My passport only has two pages left in it. I could be trapped in whatever country I’m in when I’m completely out of space. I’ll cross that bridge when I get to it. Right now, my main concern is getting through these series of flights, three flights, beginning in San Diego and ending in Amsterdam. 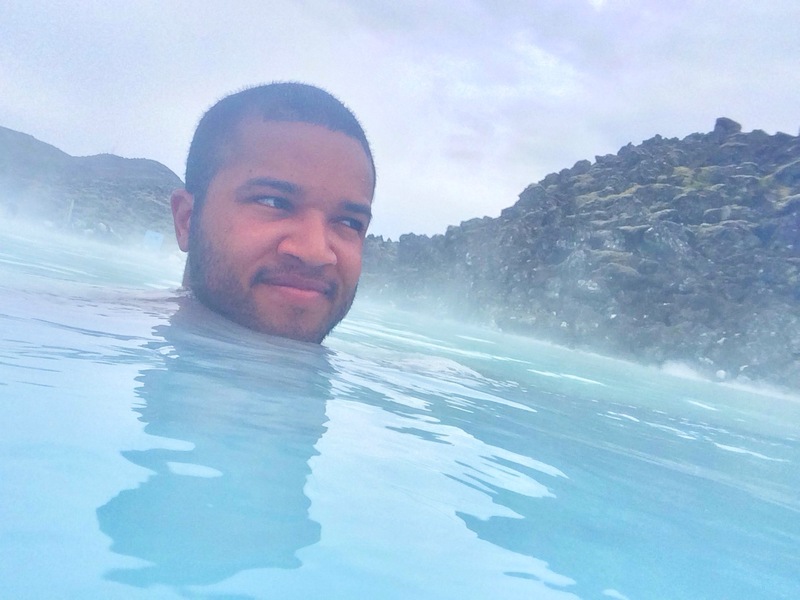 One of the layovers takes place in Iceland. Not just any layover, a ten hour layover! What the heck am I supposed to do for ten hours? Definitely not just sit around. 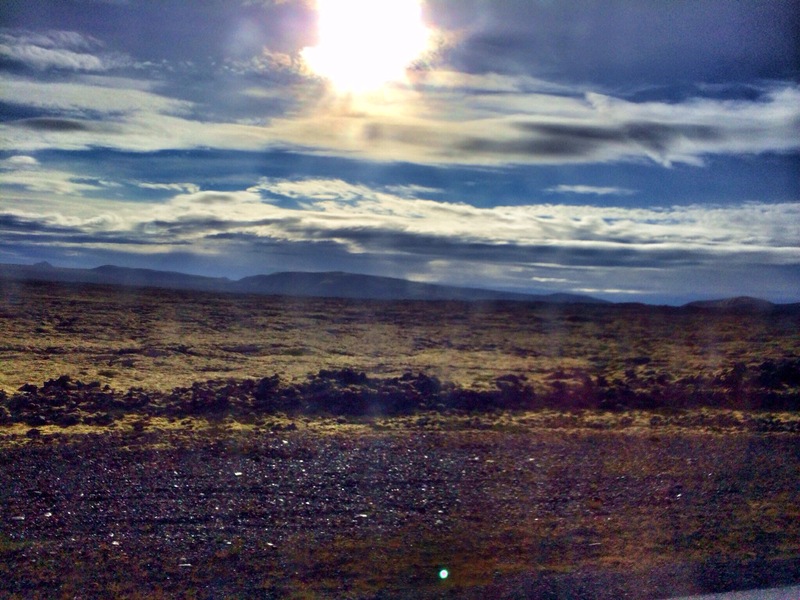 Ten hours should be plenty of time to explore a bit of my surrounding area, outside of the Keflavik airport. I just have to figure out how to bust outta here! First thing I noticed – it’s barely five in the morning here, why is it so bright outside? Second thing I noticed – it’s cold! Everyone’s wearing long pants and a jacket and I’m over here wearing shorts and a t-shirt. I’m stuck with this. I can’t change because my warmer clothes are in my big backpack which, according to the bubbly lady in San Diego, will go all the way to Amsterdam. Even so, just looking around trying to find my way out of the airport, if I really wanted to, I could buy a sweater or something. Are their summers always cold like this? I don’t even want to know how their winters are! 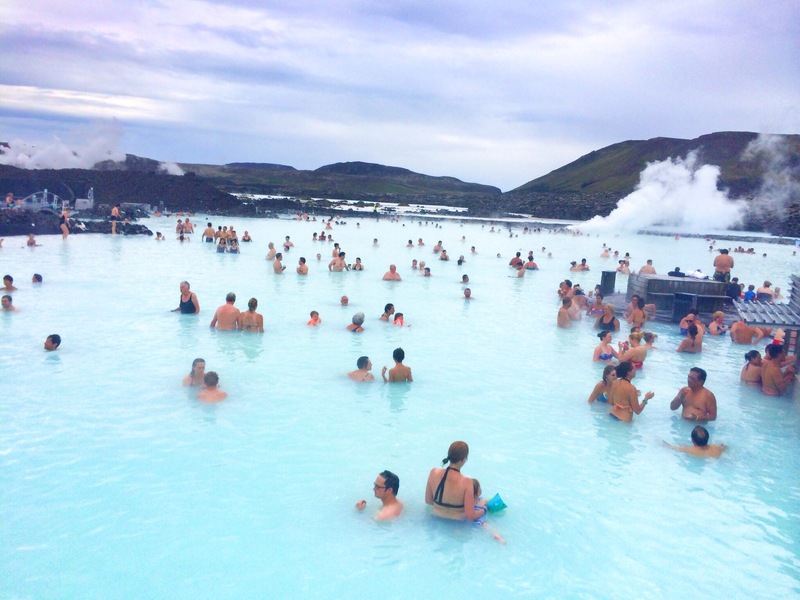 I finally managed to get through customs and through one of the exits when I noticed a shuttle bus that takes people to a magical place called The Blue Lagoon. I’ve heard of this and was hoping it was a real thing. 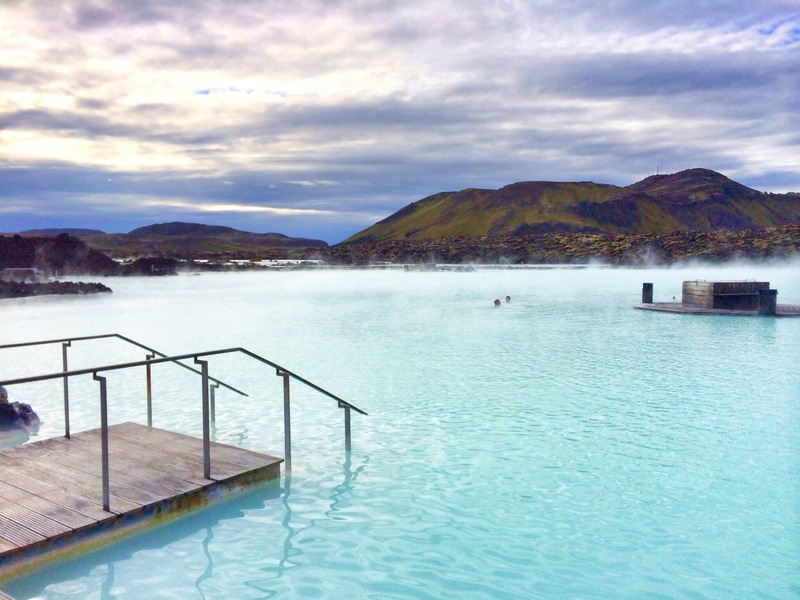 A geothermic spa with naturally hot milky blue water that people could relax and soothe themselves in. I want that! I purchased a round-trip shuttle and entrance ticket to the lagoon, which was about 25km away. As I was waiting for the bus to arrive, I noticed a couple also waiting nearby. They looked like English speakers. As a traveller, you kind of develop the ability to sense who’s not from around here without even talking to them. I went up to them and asked if they were also waiting for the bus to the lagoon. They were. Their names are Brett and Malina and they actually reside in Philadelphia, Pennsylvania, and have both done their fair share of globetrotting. I’m glad they were there because I couldn’t really understand the ticket-seller’s strong Icelandic accent of directions. Minutes later, the bus pulled up and we were on our way! My body and mind were in two completely different timezones. I wanted to nap on the ride there but I couldn’t pass up the scenery on the way to the lagoon. The mountains. I’ve seen many of mountains and no matter what country I’m in, they are always so different and never cease to amaze me. They were distant, but were showcased perfectly under the glints of sun that managed to peak through all the clouds. The picture doesn’t capture the emotion of how eerie the mountains appeared. 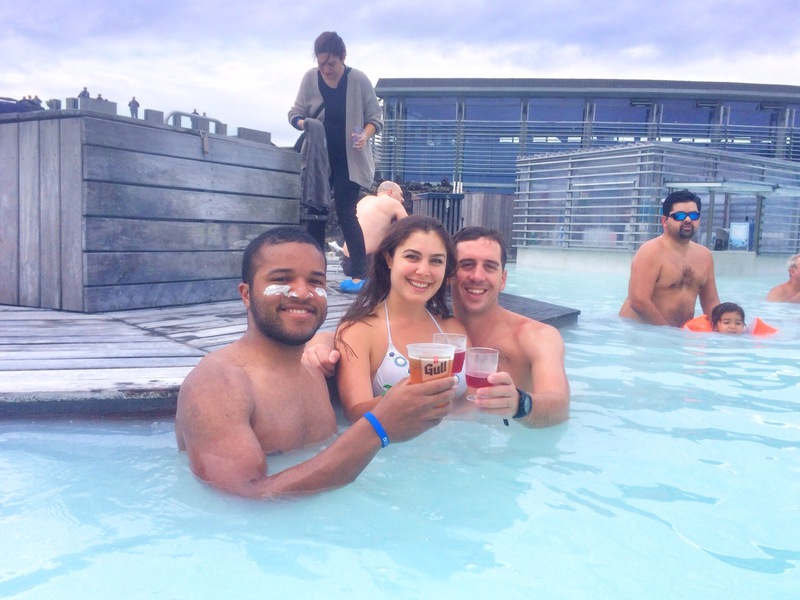 But soon enough, we made it to the Blue Lagoon! 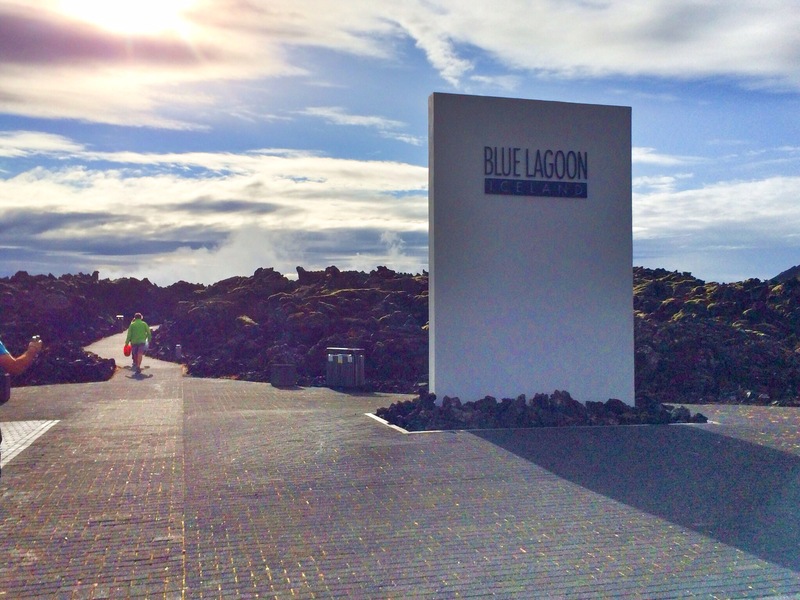 I walked up the path walled of lava rocks and found the reception area where I was able to rent a towel. Fortunately, I kept my swimming trunks in my carry-on bag with me. I had my GoPro but instead opted to bring my iPhone with a water-proof case I had gotten as a gift. I was raring to go! 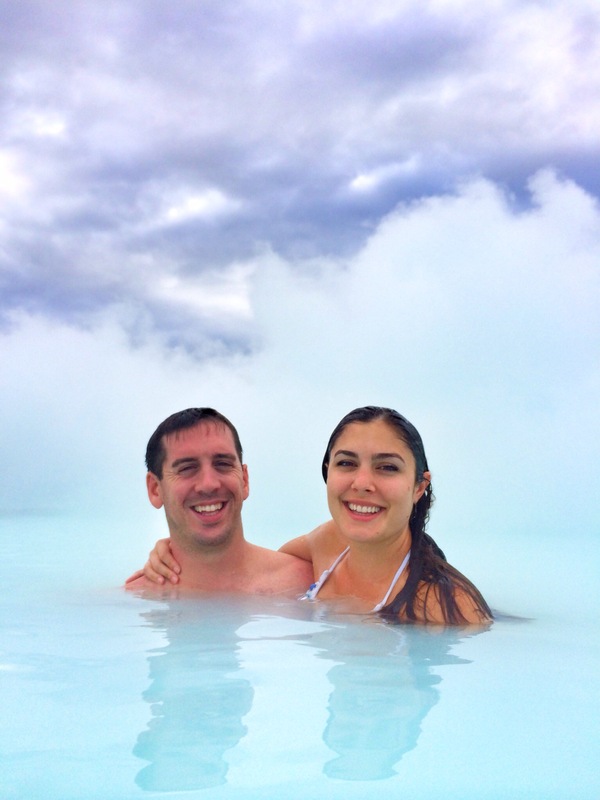 The cold air was going to make this lagoon feel real nice! Since I was early, I was one of the very first to enter the large lagoon. And yes, it was warm, and a milky baby blue just like the pictures! 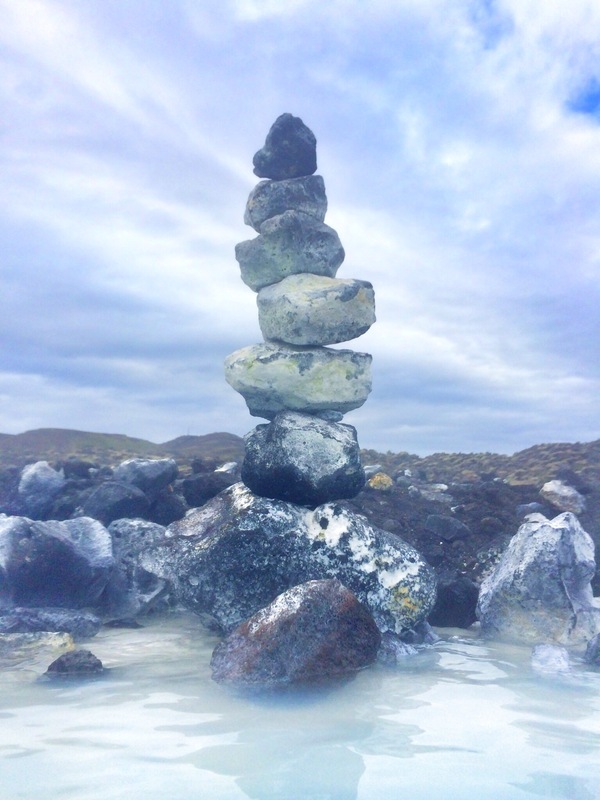 This was natural, which meant I wasn’t walking on cement or tiles, but instead on black sands of aged lava. The lagoon seemed almost endless because parts of it were covered in fumes coming from underneath the ground. Actually, a lot of the fumes were coming from another lagoon that was being manufactured from a power-plant nearby. The closer I got to the fumes, the hotter the water became. I’m talking boiling hot! I lost myself in the pool and managed to join up with Brett and Malina who entered shortly after I did. 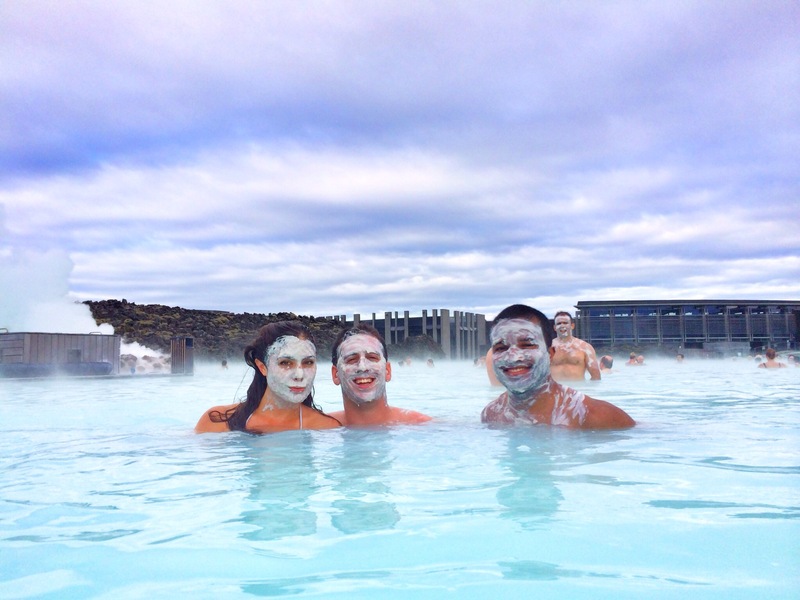 Near the edges of the lagoon were mounds of silica mud, which apparently is great for your skin. Let it sit and dry on your face for about ten minutes and feel the benefits. So we slapped a bunch on! We found there was a swim up bar where I just had to treat myself to an ice-cold beer! 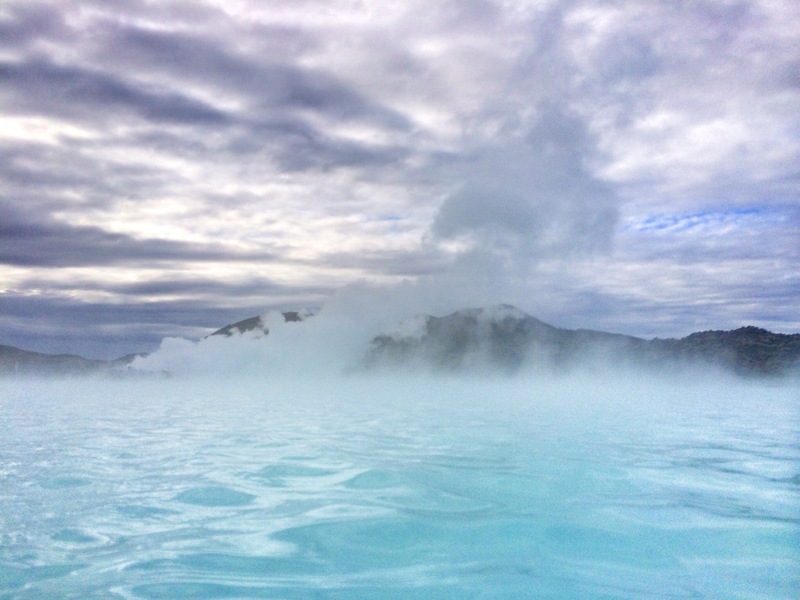 The locals call this lagoon, the fountain of youth, because of all its natural soothing and healing properties. It definitely felt therapeutic. Definitely the best hot tub I have ever been to in my life! We basked for what seemed like hours, even though there were signs saying we should take breaks every now and then. I didn’t want to get out. What if I ran out of passport pages here and was stuck in Iceland? I wouldn’t be mad about that. I kept my eye on the time and decided it was probably time to head back to the airport. I said my farewells to Brett and Malina and wished them the best on the rest of their trip. They would remain in Iceland for a few more days, heading to Reykjavic, before making their way to Paris, France. I made it back to the airport with plenty of time to spare and a good thing too because I felt like I was dying of thirst! I should have listened to those signs saying to take breaks every so often. 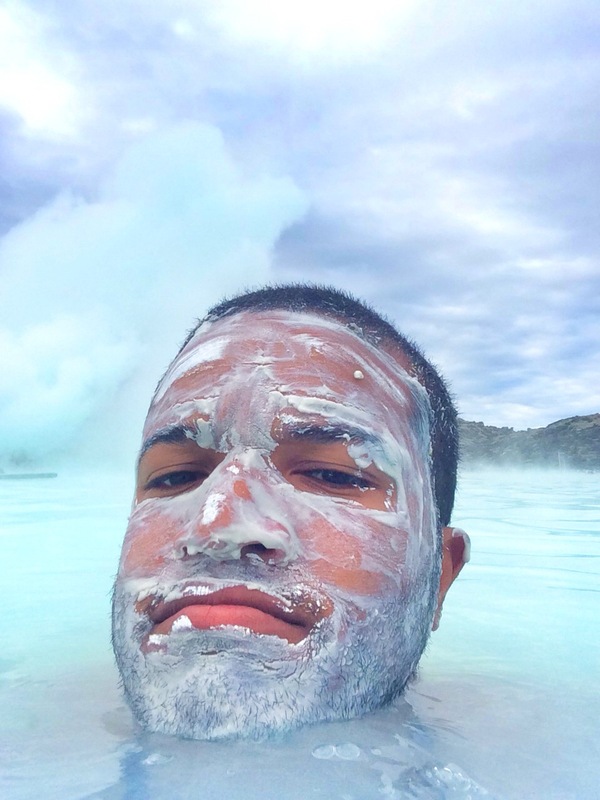 My skin was uncomfortably dry and the inside of my mouth felt like a desert. That lagoon sucked all the moisture out of me! But you know what? It was well worth the 9000 kronas. That translates just a little under 80 US dollars. I had one more flight to get to Amsterdam where two Dutch girls by the names of Mieke and Hanneke were waiting to pick me up. You remember them? I met them last year during my last outing in South Africa. They told me earlier that they would pick me up on bicycles, since riding bikes is a typical Dutch thing to do. I couldn’t tell if they were joking or not, but no matter! I was just excited to get there after what I can now say was the best layover I have ever had! 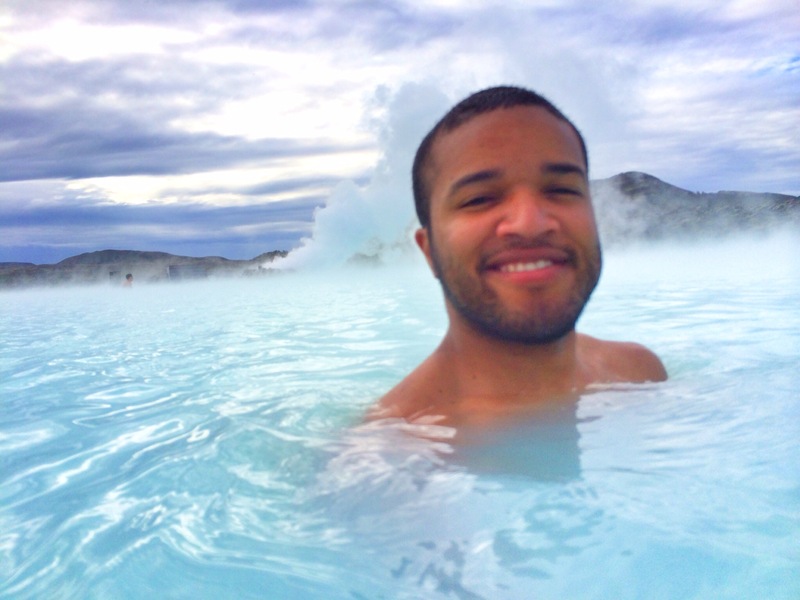 I’ll be back for you again one day Iceland. The Netherlands is up next!